After reading this book: you will never ever want to be a nanny, but you will want to be a ninja! Ninja Nanny is non-stop adventure and pure awesomeness. 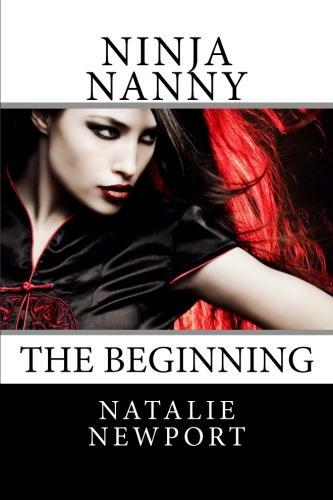 Join Natalie Newport, aka the Ninja Nanny, as she discovers her hidden talents and superpowers, and falls in love. You’ll likely fall in love with her in the process. This book is all about being faced with challenges (hurdles) and overcoming (jumping) them. It appeals to the inner ninja in us all. Inside this delicious book, you will find firefighters, talking cats, and absolute mayhem…but it all leads to a place of tranquility. Somehow, I can sleep more soundly at night, knowing Ninja Nanny is out there, fighting the good fight. Convertible sports cars, firefighter conventions, talking cats, precocious children, and, of course, caffeine. What more could a reader want? Holy Shinobi! Newport stealthily and artfully ambushes the reader into recalling and reliving life’s sometimes awkward, resonating and always identifiable universal moments. Small town girl or highly skilled practitioner of ancient craft—either way, this tale is pure omiyage! When does the next book come out.